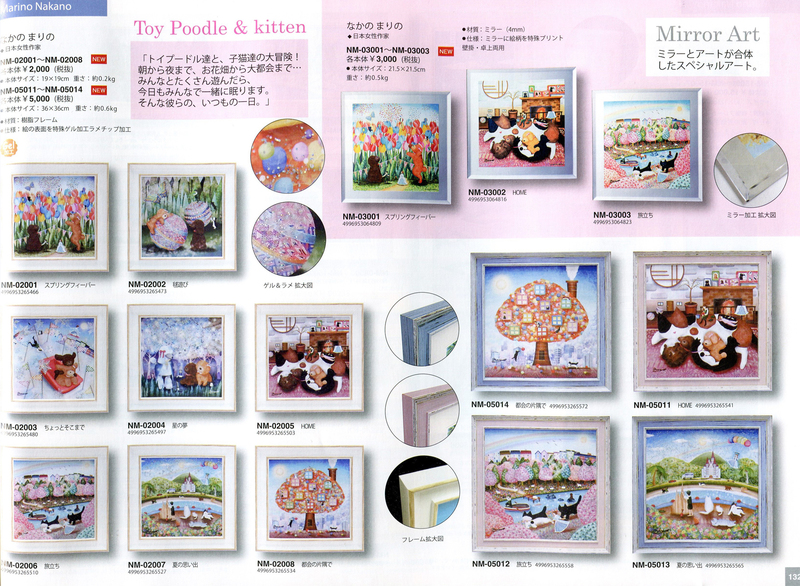 This page introduce some products I designed. 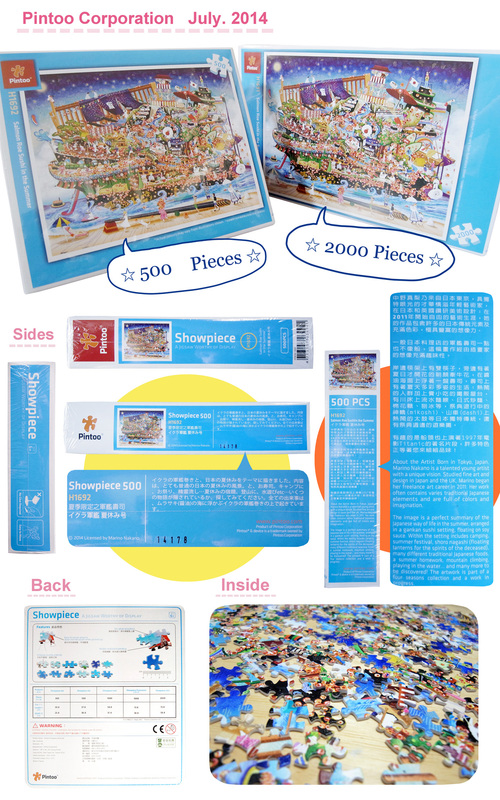 If you would like to purchase, please contact directly to the manufacturer (details on the end of each product part), or contact me from contact page. Thank you. 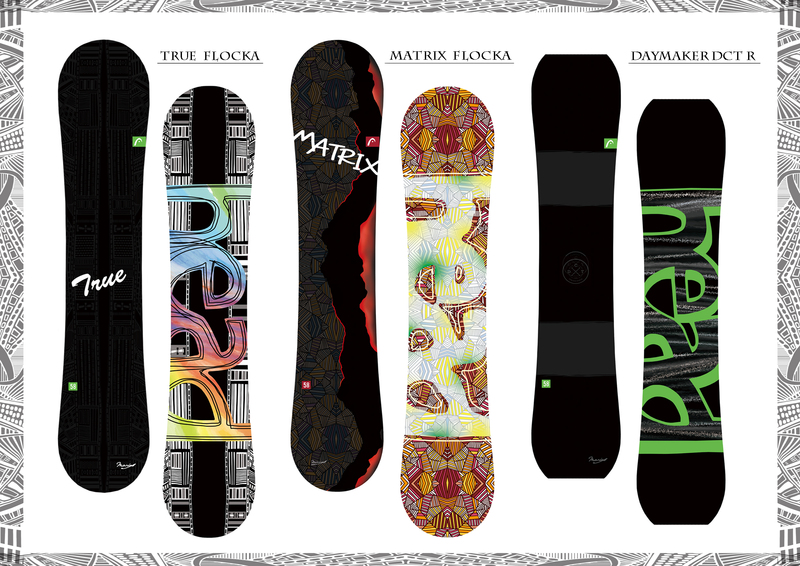 I designed for snowboards released by HEAD SNOWBOARDS. 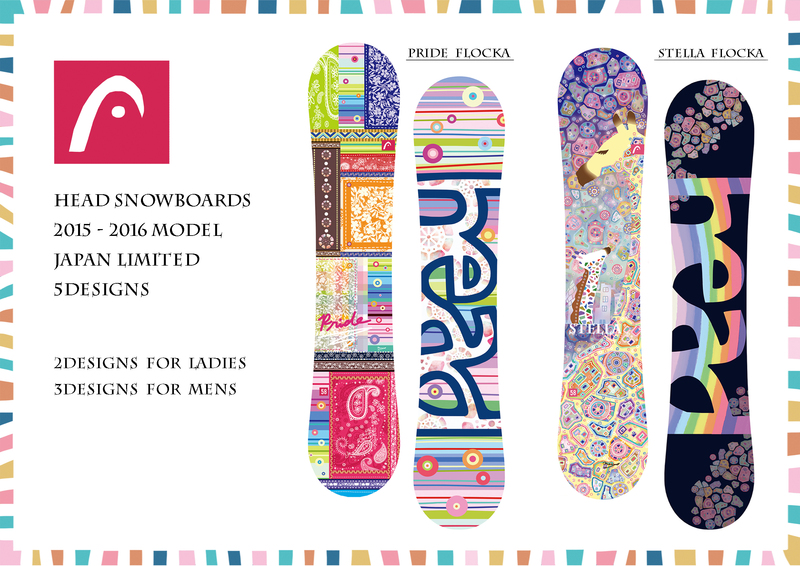 My designed snowboards are released by Head Snowboards, 5designs, 2015-2016 model Japan Limited. 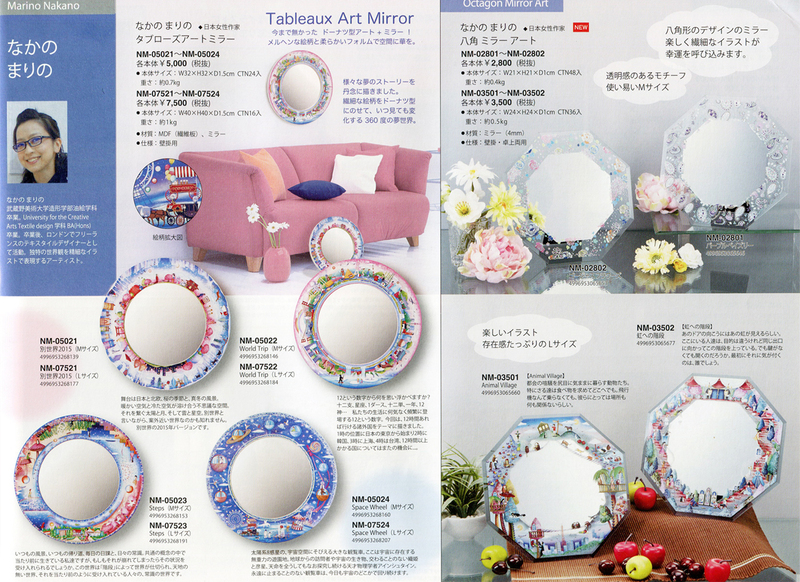 Interior Art Frames by YOU POWER CO., LTD.
☆八角形型ミラー☆ New products, Octagon Mirrors are now on sale. 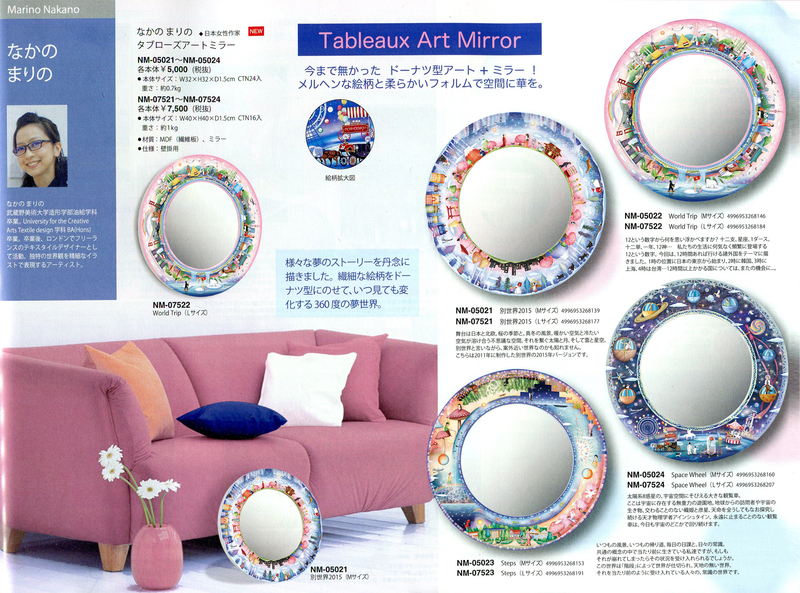 ☆ドーナツ型ミラー☆ New products, Doughnut shape Mirrors are now on sale. 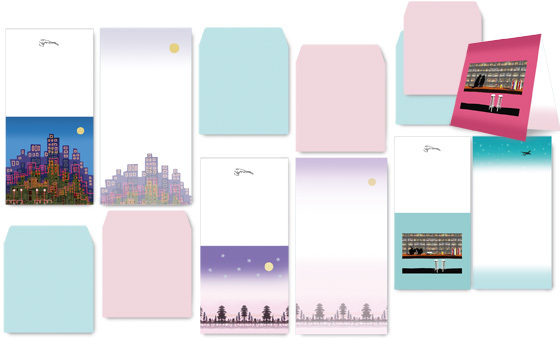 ☆　第１～３弾　☆　作品が額装されて新登場です☆ New products are now on sale. 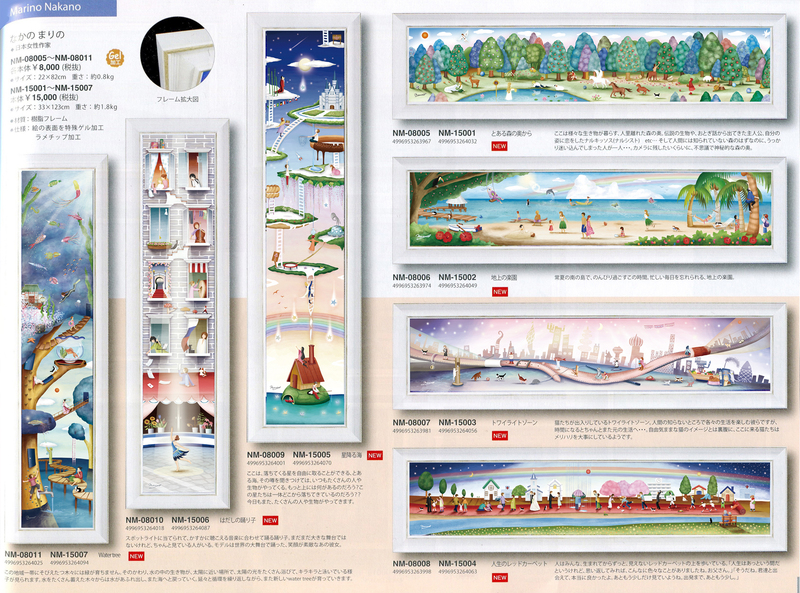 My works are released from the company where create their own original art products such as art frame, album, interior goods and etc. 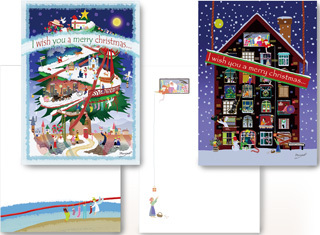 This time my works are framed and coated by gel and glitter on its surface. 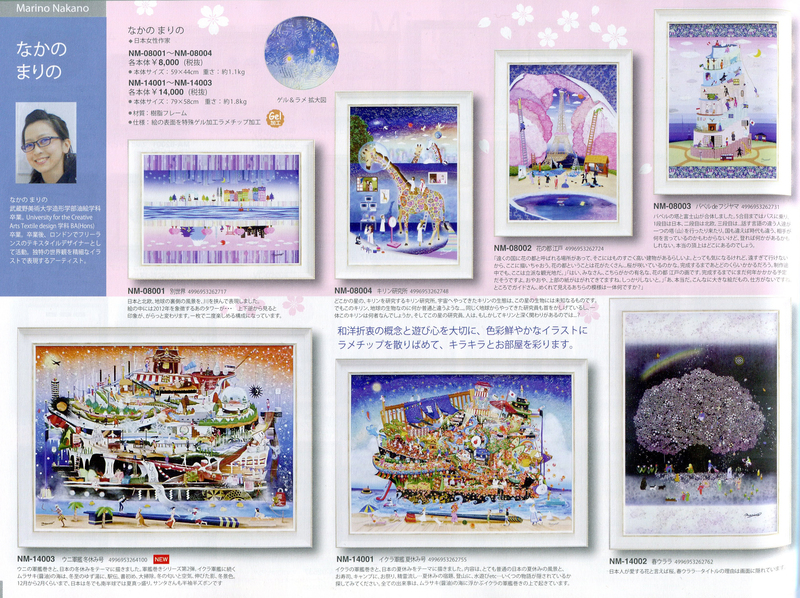 These are very different taste from my original fabric board which has shiny stones. 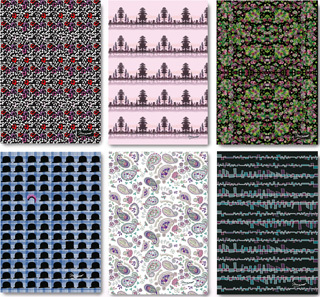 こちらの4点は2サイズ☆ These 4 designs are in 2 sizes ! I drew a picture “Red carpet of life” in the summer 2014. This time, this picture became a three dimensional flowerpot puzzle ! 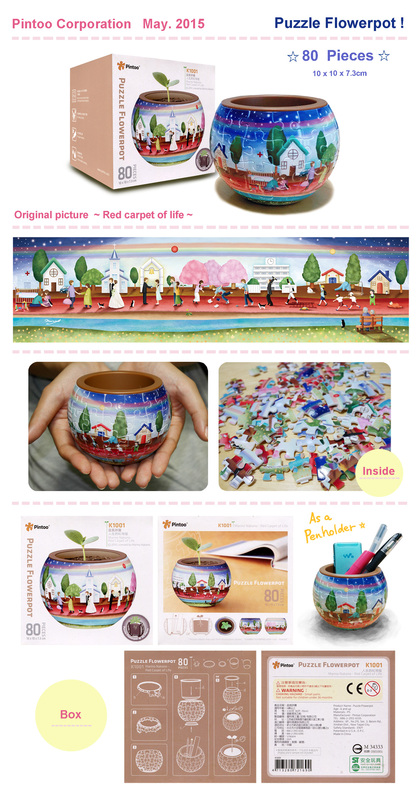 The size is quite small as big as my palm, but this can be used as a flowerpot, and also as an accessory case or a penholder ! 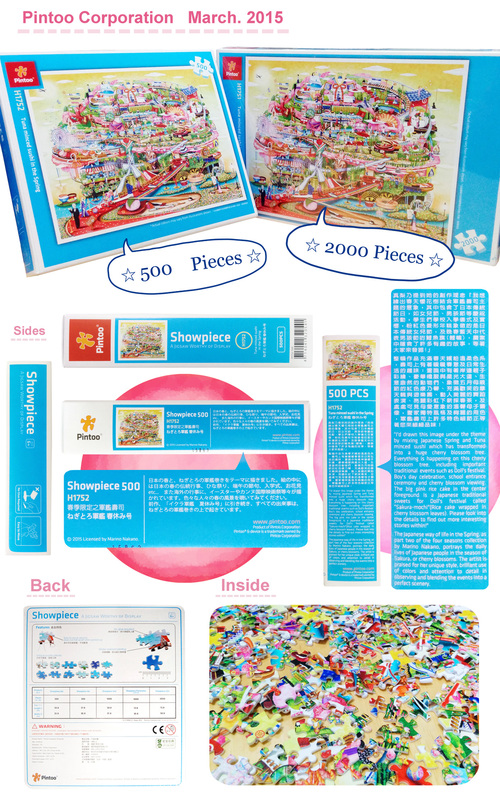 ☆上記平面パズルの商品一覧 は こちら ← Those two dimensional puzzles list is here. 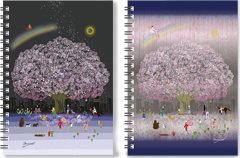 Paper Products by Sunrise Ltd.
Spring 2012, I designed this illustration for giveaway memopad of Odakyu Department Store Shinjuku 50years Anniversary. 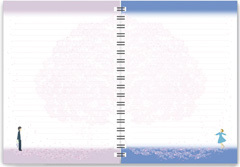 This motives are cherry blossom and olympic. All these small loops are connecting eachother describe the ties of people. 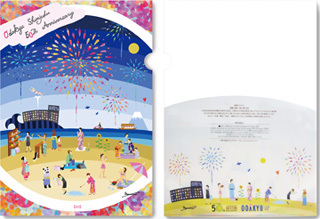 Summer 2012, I designed this illustration for giveaway clear file folder of Odakyu Department Store Shinjuku 50years Anniversary. Odakyu department's Summer event and huge fire works. Only one day in Summer they hold YUKATA(Casual Kimono) day.